Krush with tSB at the Downtown Throwdown! What better way to kick off October than with a snowboarding rail competition in the middle of the city? Earlier this month, Krush put together the Downtown Throwdown, and invited tSB over to get exposure and gave us space to raffle tickets and tshirts. He also got all of the event sponsors to donate an item for our raffle, and gave us a lot of publicity at the event! We made over $1500 for winter programming!! The opportunity also gave 2013 Peer Leaders the chance to demonstrate their leadership skills by taking charge of the booth, raffling off tickets and selling t shirts, so a big shout out to the ’13 PL’s too. 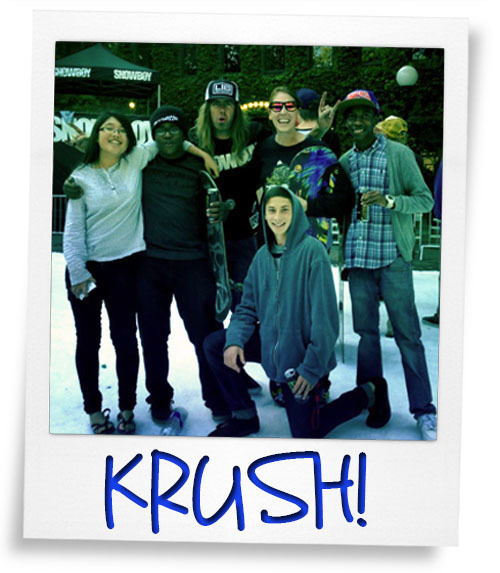 We love you Krush, thanks for supporting Seattle youth programming and being such a rad indivudual!